I’ve been completely obsessed with knitting lately. It literally does take over your life because unlike sewing, you take your knitting project everywhere you go. I knit on the bus to and from work, at lunchtime in cafes meeting up with friends and on weekends at home. I’ve almost finished this Angora Sweater by Drops Patterns; my first sweater attempt, ever. Next up I think I want to try making a cardigan. Maybe with a bit of cabling or some other challenging detail on it. 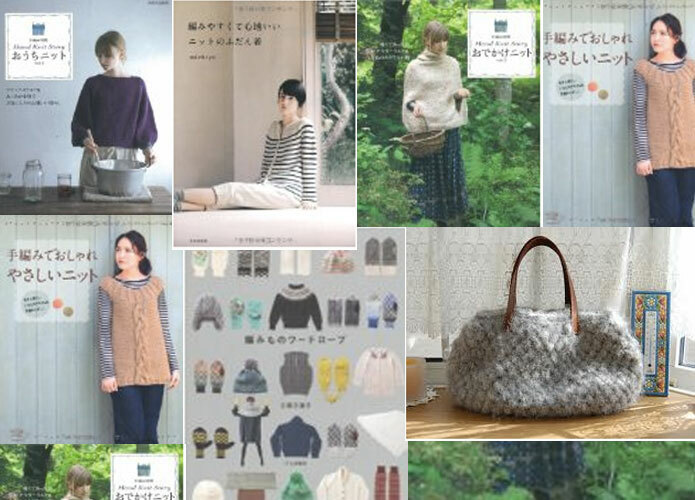 So I’ve been on Amazon Japan for hours and hours browsing Japanese knitting pattern books. Dave and I are going to be in Japan in November for our belated honeymoon. Yay! 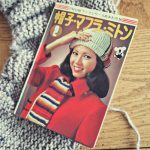 It’s the perfect excuse to stock up on Japanese knitting pattern books too. Here’s my (growing) shortlist. I’m having a hard time narrowing it down to a couple of books! Clicking on the image of each book takes you to Amazon Japan (Affiliate links) where you can view inside the books. Not sure why this book’s English name is Hand Knit Story, as the Japanese name translates to something like “Knits for going out”. Suitably, the cover shows a pretty poncho you can throw over yourself if you’re going into town to run some errands. 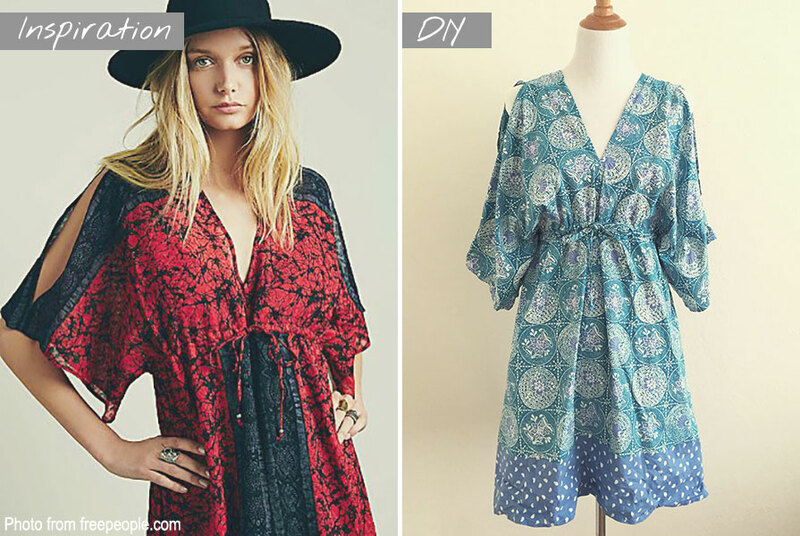 The patterns are all very natural and folksy, focusing on outerwear like chunky cardigans, wraps and accessories (gloves/beanie). I’m absolutely loving the look of the styling of this book. Same series as number one above, but this version is a book about “At home knits”. From the pictures I’ve seen of the contents of this book, it’s full of cosy knits very similar to what I already wear for lounging around the house. 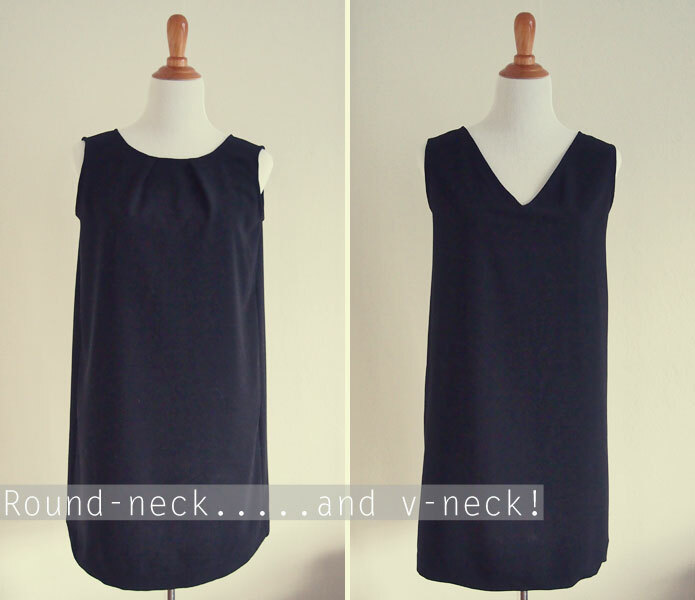 The pullover on the cover can actually be worn back to front as a cardigan; it has buttons at the back. 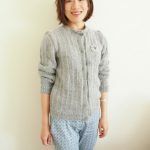 This Japanese knitting blogger has made one. Also, make sure you check out the preview on the Amazon page (just click on the book image, left) to see the gorgeous chair cushion knitting pattern. How can anyone resist an entire wardrobe’s full of knitting patterns? I like how there’s seven different knitting patterns just for gloves in this one book. Wonderful detail can be seen in this mitton by a Japanese blogger. There’s also clothing and beanies – lots of them – so I’m bound to eventually knit something once I have this book in my possession. How sweet does the cream cardigan on the cover look, with the pockets and flower embroidery on the front? 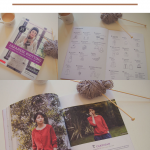 Bit more grown-up and sophisticated than the other knitting pattern books here, this book has simple and easy knits for everyday wear. I’m a complete sucker for sailor stripes, so the cover image caught my eye. The Amazon preview shows this striped cardigan knitting pattern also comes in a longer length. I’ve shortlisted this book because it’s supposed to be suitable for beginners. I am getting a bit carried away, looking at all these books when I’m only just knitting my first non-scarf item! This book seems to cover the basic necessities like pullovers and cardigans, but my favourite is the knitted cap (you can see it in the Amazon preview). 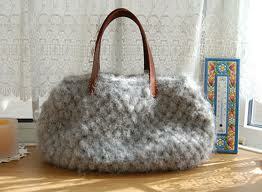 Oh, and I’m also drooling over this fluffy knitted handbag (featured on back cover) as made by Natural Knit ecru Gallery. That knitted bag is amazing. I haven’t knit for a while, but you’re totally right it takes a lot of your time. Once you’ve started something, it’s hard to stop and not finish it as soon as possible. Hi Hannah. I hear that there’s lots of pictures and symbols used in Japanese knitting books. I’ll have some in my posession in 2 weeks time, so I’ll let you know if I think they are non-Japanese people friendly! but when I go on link theres no pattern only a blank page. Any help would be appreciated. So sorry for the delayed response. I still haven’t got internet at my new place in San Francisco yet, so I’m working from a cafe! Vintage bikini – The link is gone 🙁 So I will have to remove it from the page. Thanks so much for pointing these out to me and sorry again for the slow response! Thank you for sharing these books! I looked them up but found hard to acquire most of them without creating an Amazon Japan account. 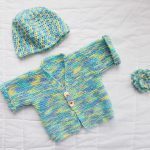 Luckily, I followed Michiyo’s links on Ravelry which led me to her US account. I ordered 3 books, among which the Easy to Knit and Wear book you recommended. I am teaching myself Japanese at the moment, so I hope these pattern books will motivate me in my studies. 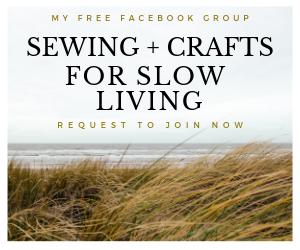 Thanks for letting us know about the Ravelry account! I do love that website. I had no idea Japanese pattern designers had accounts on there. Greap tip!